The JVP in Parliament yesterday said that the country had no economic independence as a direct result of the unfeasible large-scale development projects undertaken by the previous Government while alleging that former President Mahinda Rajapaksa had received Rs. 198 million from one Chinese company alone in the run up to the 2015 Presidential election. JVP Leader and Chief Opposition Whip Anura Kumara Dissanayake made these claims while taking part in yesterday’s adjournment debate on the recent New York Times article on former President Rajapaksa’s dealings with China. “The damage the country suffers in the long-term due to these projects, loans and commissions is much larger than the colossal sum of money hoarded by former President Mahinda Rajapaksa in the guise of the Presidential Election campaign,” MP Dissanayake said. MP Dissanayake said that former President had received Rs. 198 million from China Harbour Engineering Company Ltd. just before the 2015 Presidential polls, while going on to present a series of cheque numbers, dates and names of individuals who encashed the cheques. In addition, the Chief Opposition Whip disclosed that local road construction companies had given Rs. 105 million in total to the former President just before the 2015 Presidential election. With regard to the payment of Rs. 19.4 million by the CICT to the Pushpa Rajapaksa Foundation owned by the wife of former Minister Basil Rajapaksa, MP Dissanayake revealed that this payment was considered an expenditure of the CICT and would need to be repaid by the Sri Lankan Government when the contract term ended. “China has 85% stake of the CICT, which operates the Colombo South jetty, while the Ports Authority holds 15% stake. When we get back the jetty after 35 years from 2012, we have to pay the sum of money the company had made to the Pushpa Rajapaksa Foundation as well. It is ironic that the people who were involved in this kind of serious frauds and corruption are clamouring of patriotism today. 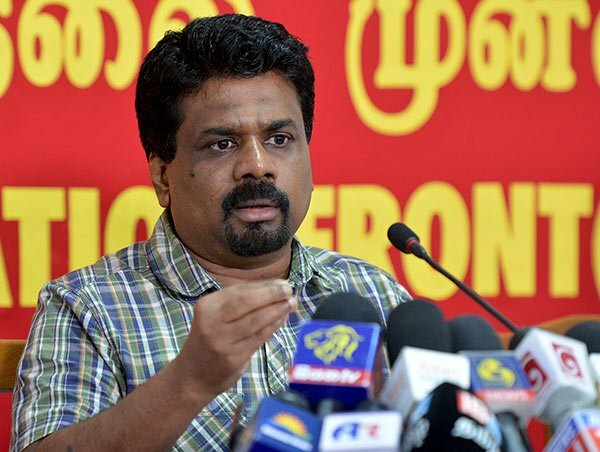 They are pointing fingers at financial frauds of the current government,” the JVP Leader said. He went on to charge that the Mattala Airport feasibility study contained false information and statistics. Furthermore, MP Dissanayake said that China had funded the Hambantota port project with the expectation of owning it following its construction.